Submitted by Matthew Bennett, an independent journalist in Spain. Support his analysis on Patreon. 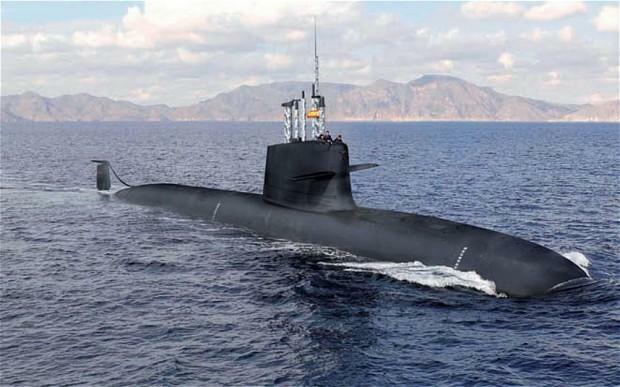 El País reported on Wednesday that Spain’s struggling new S-80 submarine procurement programme had run into another problem. After previously being found too heavy to resurface, the boats, which are 81m long and weigh 3,000-tons, were now too long to fit in the submarine pens at the Cartagena naval base, meaning millions would need to be spent extending them. The submarines were lengthened—and re-baptised the S-80 Plus—to fix the weight problem. “The MoD will have to make the docks at the Cartagena base bigger because the new submarine doesn’t fit”, the paper headlined, reporting the new €16 million overrun would go into the nearly €4 billion project cost, or nearly a billion euros per submarine. El Pais published an infographic suggesting the new length of the boats was the new reason the submarine pens would have to be extended lengthways. You can support Matthew's work on Patreon at whichever monthly level works best for you: $3, $5, $10, $15, $25, $50 or $100. They all help and they all get you access to more top quality Spain reporting and analysis every week.